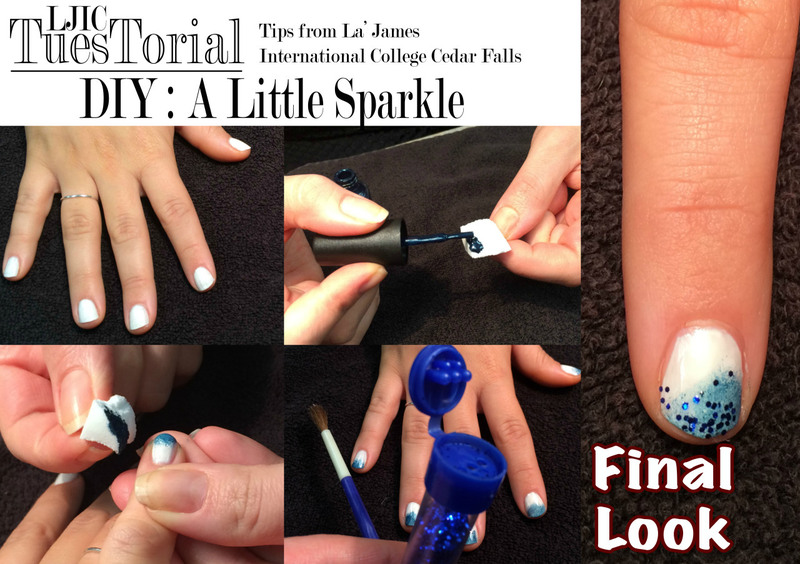 DIY : A Little Sparkle! 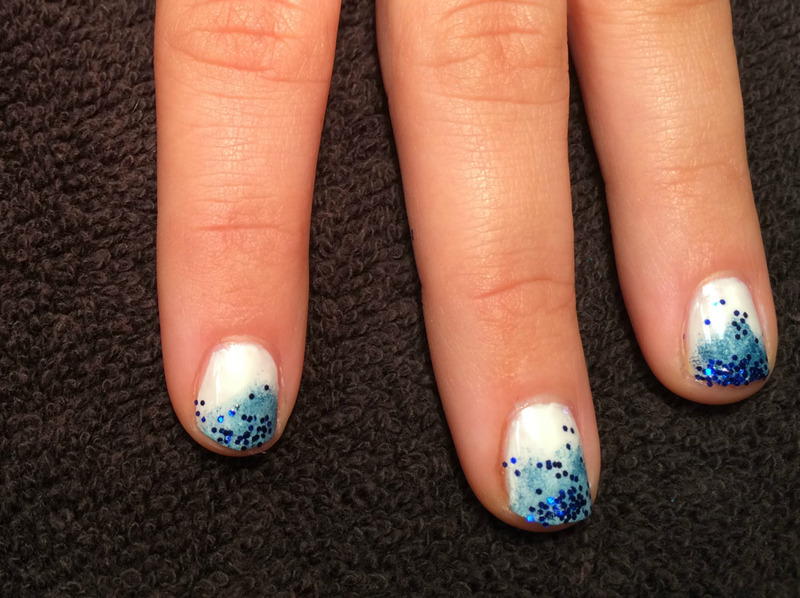 With summer around the corner it’s time for a new nail design! How about adding a little sparkle to your look. Today’s TuesTorial was created by La’ James International College in Cedar Falls. Step 1: Apply 2 coats of white polish. 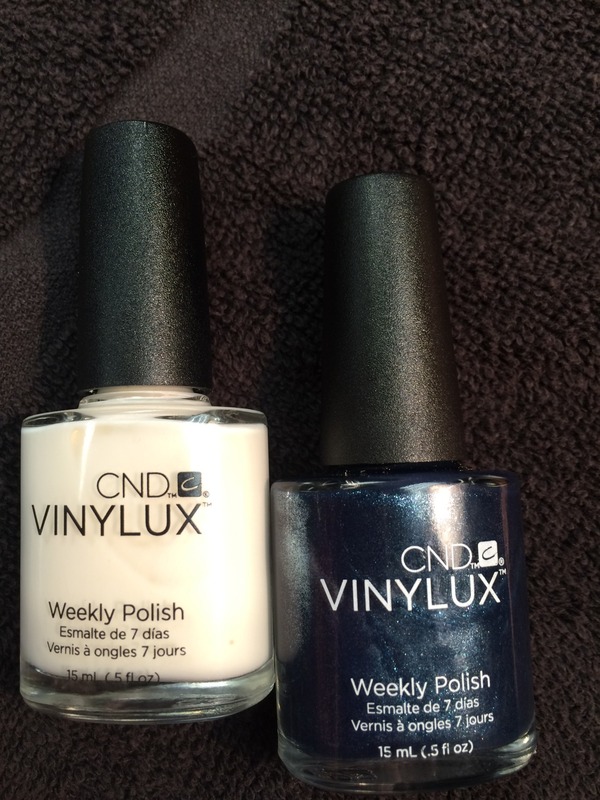 We used CND Studio White Vinylux. 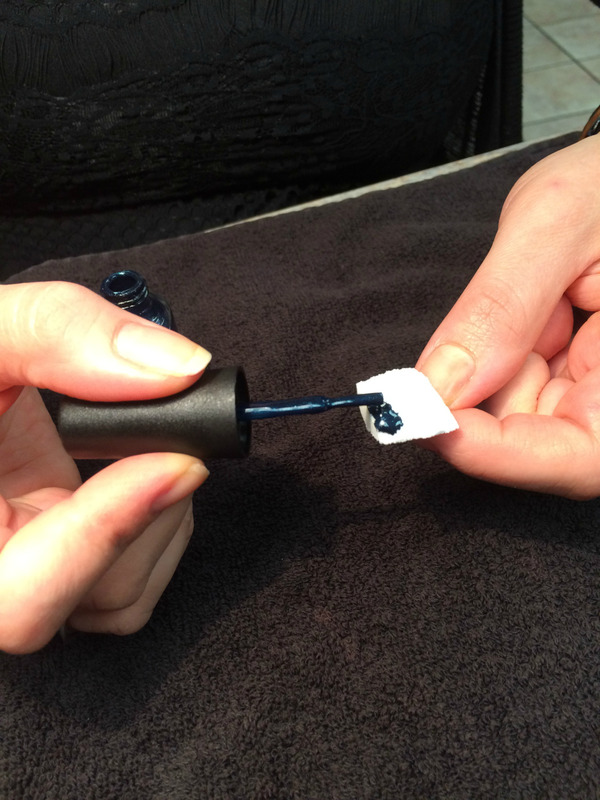 Step 2: Lightly dab your blue polish onto the make-up sponge. For this look we used CND Midnight Swim Vinylux. 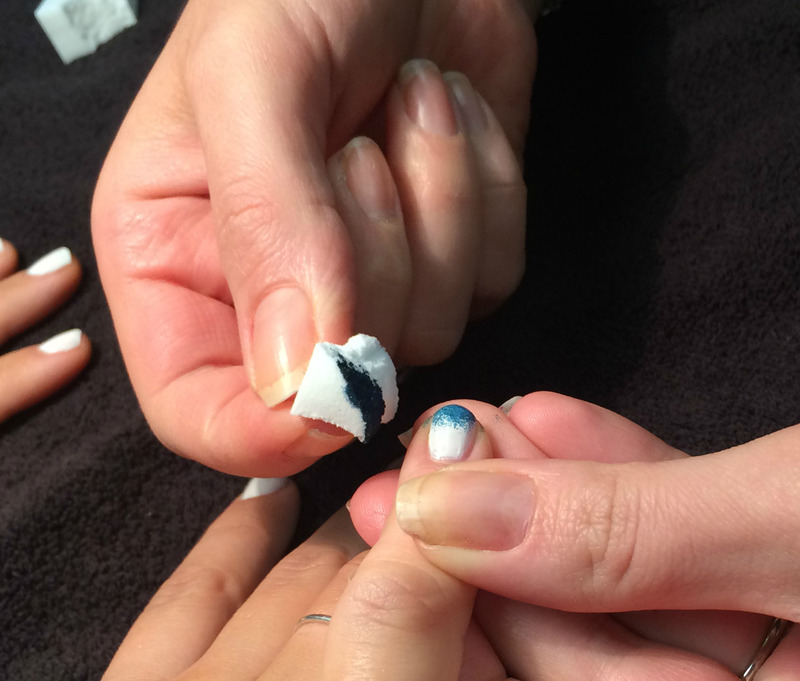 Step 3: Next, dab the sponge on the free edge of your nail & allow it to dry. 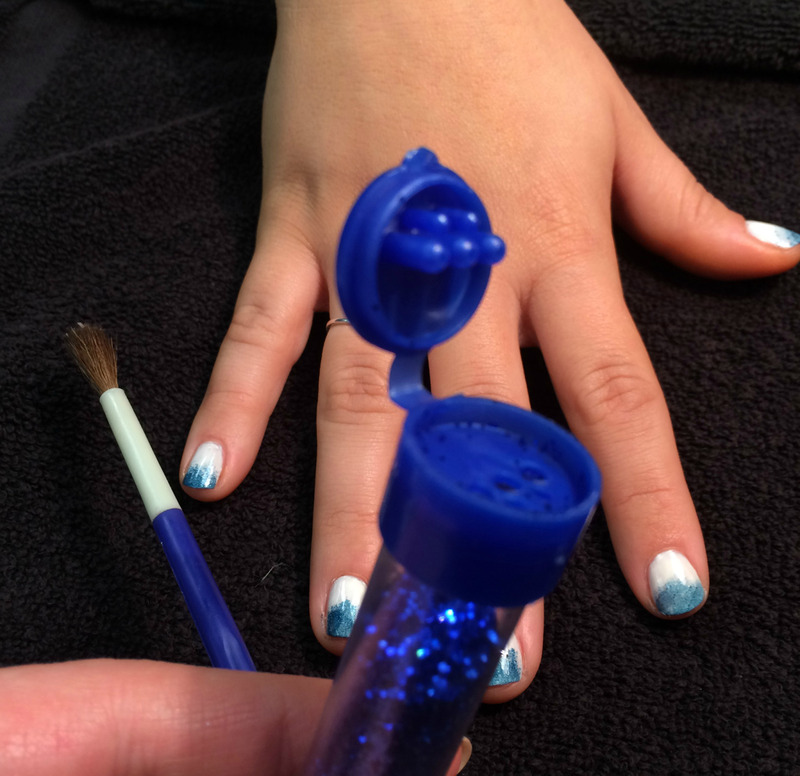 Step 4: Using a brush and some glitter, line the free edge and pull the glitter towards the cuticle very gently. To learn more about La’ James International College & our upcoming classes contact an #LJIC Career Planner today! Call 888.880.2108 or visit www.LJIC.edu!